Everybody knows that planning a wedding can we stressful, it requires exceptional organizational skills and a level-headed approach. Even the most organized and motivated bride-to-be can get thrown off course by the chaos and pressure that comes with planning a wedding. That’s why it’s always best to get a strategy in place, reserve some down time, and plan far ahead so big decisions never come down to the last minute. Before you begin planning anything, it’s crucial to determine how much you’re willing to spend. 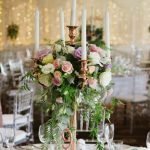 This may mean that you have to save up for your big day, nevertheless, you’ll still end up having a most magical day; it may just be a bit further down the line than you might have thought. Depending on your circumstances you may want to politely ask your parents and your groom’s parents, whether they will be contributing anything towards the wedding. That way you can budget for what you will pay for on your special day. Deciding on a theme can be difficult, you may be a bit indecisive or just need some inspiration; after all it is a big decision. You may be looking at a classically themed wedding or maybe you and your partner are Harry Potter enthusiasts and would like a destination wedding at Harry Potter world. Whatever theme you decide, just remember that it sets the tone and mood for the ceremony, reception and anything else that follows. The guest list should be the easiest decision to make but it can prove to be quite difficult at times, especially if parents are pitching in to pay for the wedding. It’s important to discuss the guest list as a family so there are no surprises. Traditionally the couple gets half the guest list, and each set of parents gets a quarter of the guest list. So depending on the amount of people you and your fiancé invite to the wedding, your parents will invite a quarter. For example, for an 80-guest wedding, you invite 40 people to the wedding, each set of parents gets to invite 20. 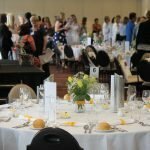 In order to ensure that you organize the right venue, you have to be certain it will fit into your theme and be able to cater for all of your guests. For example, if you want a more intimate wedding with only your closest friends and family, a small venue such as a local park may serve you well. Otherwise, if you’re looking at having a large, extravagant wedding with your cousins and second cousins, you may want to book a golf club as the venue. If you would like any further tips and tricks please don’t hesitate to contact us, otherwise if you’re looking for professional and reliable help, have a look at our wedding services.